What is a Unix System? UNIX is an operating system that has multitasking and multi-user abilities. Unix contains a C programming language where the OS provides tools that perform well defined functions under a unified file system as a main communication technique. This custom OS has a hierarchical directory structure and the data blocks are allocated by inodes which are grouped into cylinder groups. These UNIX systems are best known in the market for their efficiency and performance. UNIX systems are often used in high-end commercial businesses. 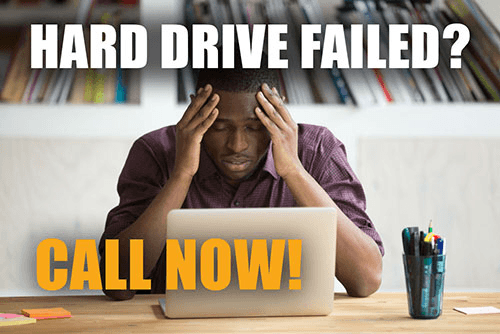 Because of this, it can be devastating to have your system crash or worse, lose important data that make your company function. Because of the variants of the operating system, UNIX systems can be one of the most time consuming and complicated recoveries a professional data recovery business could encounter. It is important to understand that there is no simple data recovery tool available to recovery data from these systems. Powering off your system as quickly as possible after discovering a problem will help preserve information and limit the amount of lost data. Immediately call a data recovery professional like us to recover data from your UNIX system safely and effectively. Data recovery from UNIX systems are some of the most complicated recoveries due to the large number of operating system variants and time-consuming processes involved. Many variations of UNIX implement file systems that are not commonly used therefore there are no simple data recovery tools available. Worse yet, many of these utilities available will actually damage the file system more when attempting to recover lost data. DataTech Labs engineering staff has the necessary knowledge and tools to recover data from failed UNIX systems. We have worked on all types of UNIX System models including EXT2/3, XFS, EFS, UFS, FFS, AIX, JFS and more. Our experienced engineers have progressively found more tools and techniques to successfully recover data from UNIX set ups and servers. Data Recovery for UNIX systems is often used in high-end commercial environments and the implications of a system failure or crash can have detrimental effects on a company’s ability to operate. These systems require professional knowledge and immediate attention in order to ensure the smallest amount of downtime possible. Our experienced UNIX data recovery engineers utilize state-of-the-art equipment and proprietary procedures to recover data thought to be lost as quickly as possible.